The future of the Social Apostolate. The new book of most rev. Giampaolo Crepaldi. 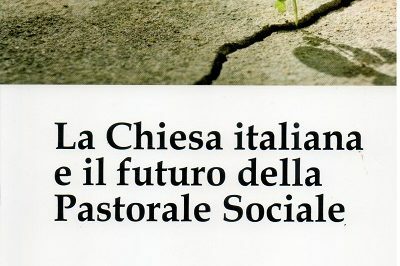 This reader-friendly book entitled “The Italian Church and the future of the social apostolate” (“La Chiesa italiana e il futuro della Pastorale Sociale”: Edizioni Cantagalli) stands forth as an effort to reply to two essential questions posed by the situation now being lived by the Church: “Does the social apostolate of the Italian Church have a future? Does the organic use of the Social Doctrine of the Church have a future in the social apostolate?” These are the two compelling questions answered by Most Rev. Giampaolo Crepaldi, Bishop of Trieste, when urged on by the queries posed by Stefano Fontana, the Director of the International Observatory Cardinal Van Thuân on the Social Doctrine of the Church (SDC). The ensuing outcome of this interview format comes across to readers as a vivacious conversation abounding with clarifications and references, and which, in addition to shedding light on the ecclesial situation today, provides guidance with respect to a possible perspective for the future. As underscored in the Foreword to this book, considering the overall situation today when the SDC does not seem to be adequately enhanced also due to the repeated attacks against natural law which is one of the sources of the SDC, the problem of the social apostolate or evangelization as such becomes especially urgent with a view to ordering human things according to the plan of God, as Msgr. Crepaldi stresses. The selfsame mission nature and mission of the Church cannot exist without a social apostolate says the Bishop of Trieste, and were it not to have one, its relationship with the world would become unhinged or just capsize: “The social apostolate is not compatible with just any vision of the relationship between the Church and the world”. Referring to the Rahnerian school of thought, the author warns against abandoning the doctrine of faith regarding the sin of the origins, exhorting his readers to meditate on what John Paul asserted in Memory and Identity about the centrality of original sin in the history of salvation. Given the importance of the missionary nature of the Church mainly as the announcer of Christ, lacking any justification at all is a horizontal or humanistic social apostolate. Moreover, noting that the process of secularization has turned the social apostolate into a ‘problem’, and this to the degree that called for is a “new evangelization”, Msgr. Crepaldi adds that paying greater attention to praxis in no way means it should become the substitute for thought. Lastly, he augurs a renewed commitment also on the part of the laity: “After the renewed presence of the laity in the social apostolate following Vatican Council II, we now note that laypersons were much more engaged before”. Msgr. Crepaldi delves into the confused post Council period where the apostolate had become grounds for rethinking doctrine, with the risk of absolutizing it and thereby focusing undivided attention on praxis. By way of example, he points out that the repudiation by the Catholic Action Movement of the Gedda line all the way to the “religious choice” of Alberto Monticone was also part of this atmosphere. With the Loreto ecclesial conference held in 1985 (“Christian Reconciliation and community of persons”), this line of thought was corrected in Msgr. Crepaldi’s opinion by uniting the just need for dialogue with the search for truth. He remarks that there was a revival of the social apostolate especially during the pontificate of John Paul II, thereby intensifying the work of the Church for the good of man and the world, well aware that without God there can be no authentic good for humanity at large. Likewise, the renewal of the social weeks has to be seen in close connection with the teaching of John Paul II, who wanted to launch the Social Doctrine of the Church anew. What people fear at present is the prevailing nature of a pastoralism able to transform both contents and methods. Stefano Fontana asked Most Rev. Crepaldi a number of questions about an important document published in 1992, “Evangelize Social Reality. Orientations and pastoral guidelines”, doing so in light of the then Msgr. Crepaldi’s responsibilities as director of the office of the Italian Episcopal Conference for the social apostolate. According to His Grace, that document saw the light of day as a result of a profound awareness of the great transformation underway in society (e.g. the collapse of the Communist block after the emblematic falling of the Berlin Wall, , the definitive crisis of the Christian Democratic Party in Italy after the launching of what came to be known as “bribegate”, and the referendum on the proportional system linked with Hon. Mario Segni). The bishop of Trieste notes that three were the main pillar-like ideas in that document: 1) the placing of the social apostolate within the Church’s salvific mission; 2) its structural relationship with the Social Doctrine of the Church; 3) the involvement of laypersons and all the subjects of the ecclesial body in the social apostolate. Reiterating that the “new evangelization” constituted an urgent need, rethought had to be a balanced relationship between apostolate and doctrine in order to avoid falling into a form of pastoralism. This document had sought to tackle the method of the social apostolate in a serious manner, and, as Most. Rev. Crepaldi underscores, not just circumscribe the process of secularization, but also gain ground on the front of the new evangelization. Pressed on by the questions posed by the Director of the Observatory Van Thuân, Most Rev. Crepaldi clarifies the significance of “pastoralism” which means an apostolate without doctrine or a social apostolate without the Social Doctrine of the Church. The concern to adapt the liturgy as well to pastoral requirements can induce pastoralism to do the same thing not only regarding the liturgy, but also other aspects of the Church, from catechesis to ecumenism. Therefore, the danger consists in indicating a pastoralism as the complete acceptance of secularization as autonomy of the world. As the Bishop of Trieste claims, the Church is not just a mere existential place, but an ontological place which may be penetrated by the grace of God. From the viewpoint of praxis as well pastoralism is distinct from the apostolate: pastoralism would like to collaborate with one and all, while the apostolate would seek collaboration with the forces of good. In this sense, as Most Rev. Crepaldi perceptively observes, “Christ told us to love everyone, but not to love everything”. Regarding the times we are now living, he stresses the fact that while dioceses and parishes focus special attention on issues like solidarity and migration, far from evident is equal resolve or mobilization to defend life and the family from profoundly iniquitous laws. Taking his considerations about pastoralism one step further, he warns against separating doctrine from praxis even if the desire to encounter other-than-self in the concrete situations of life could lead to placing doctrinal matters in a subordinate position, favoring accompaniment and journeying together. Recalling that unity comes to be in truth, he launches an invitation to create ambits of formation and serious discussion, perhaps beginning from the man’s ability to know the truth (with particular reference to Fides et ratio of John Paul II). Therefore, if pastoralism would like to see the Church at large engaged, for example, in openness to the poor and their promotion, the social apostolate would summon the Christian people to cultural formation ever marked by charity in order to tackle current challenges in a sincere and truthful manner. Most Rev. Crepaldi urges the engagement necessary to recoup the big picture and keep it ever intact: nature and super-nature, reason and faith, philosophy and theology, the Church and the world. He remarks in particular that the Catholic faith is threatened by forces that would like to just eliminate human nature after having untied it from the transcendent foundation. Therefore, reiterates the Bishop of Trieste, it is necessary to once again project the nucleus of the “non negotiable principles” which are there to defend nature in general and human nature in particular. Taking note of the fact that a universalistic apostolate in the sense of a systematic one is no longer possible, he augurs the emergence of what Benedict XVI called “small, creative communities”, where the “creativity” would consist in the resolute effort to hold everything together. The interview-conversation between Most Rev. 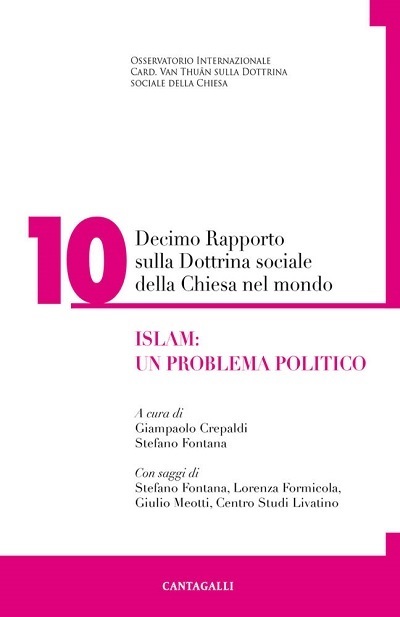 Crepaldi and Stefano Fontana published in this book deserves due credit and merit insofar as not only does it take stock of the situation in the Church, but also expounds the Social Doctrine of the Church in a serious fashion and develops the authentic sense of the social apostolate.